Although extreme winter events have always threatened herders on the Central Asian steppe, the frequency and severity of these disasters have increased since Mongolia’s transition from a socialist Soviet satellite state to a free-market economy. This book describes the significant challenges caused by the retreat of the state from the rural economy and its consequences not only for rural herders, but for the country as a whole. The authors analyze a broad range of phenomena that are fundamentally linked to the adverse social and economic consequences of climate change, including urbanization and urban poverty, access to essential health care and education, changes to gender roles (especially for women), rural economic development and resource extraction, and public health more generally. 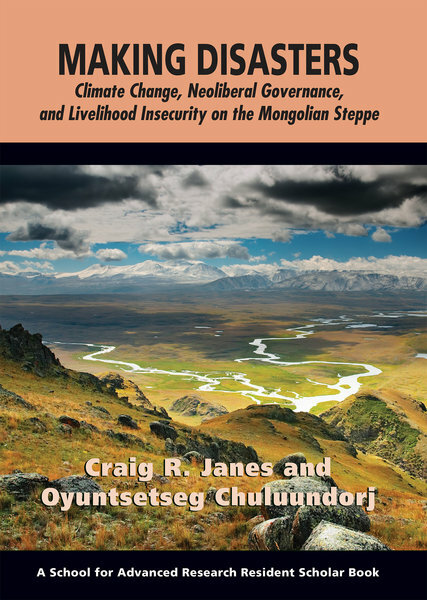 They argue that the intersection of neoliberal economics and the ideologies that sustain it with climate change and its attendant hazards has created a perfect storm that has had and, without serious attention to rural development, will continue to have disastrous consequences for Mongolia. What Makes a Climate Disaster?